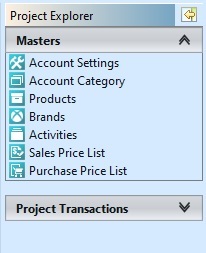 Project modules allow user to manage their company’s projects. This is where all the masters for the project module are defined, i.e. account settings, products, brands, activities, etc. 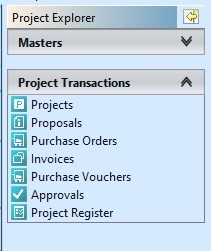 Project related transactions, i.e. proposal, order, invoices, approval, etc.